Haiku is a kind of formal Japanese poetry, defined by the use of the Japanese language. whereas ELH are not defined by any form and therefore mostly explained via the opinion of an author/editor and these explanations differ quite a lot. This can be quite confusing for a beginner. Here I collect definitions of HAIKU, in no particular order, as I find them. Once you have defined HAIKU for your convenience, you can try and find the "RULES", guidelines (yakusokugoto) that you want to follow in your composition of haiku. Send your definition please ! this is where everyone should begin. But there is more to it once you are well on your way. If you want to write about personal feelings and interpretations of a situation, or use overly poetic language, better make it a waka or tanka. Calling a tail a leg doesn't make it a leg! Maybe a very badly damaged cat/dog, unable to live up to his nameing. AAAA, what are we to make of this ? Mercedes Benz is a German car. Not all cars in this world are Mercedes. I am all for experimenting ! What does this mean in each country where haiku poets live? In Japan it is a kind of gentle humour ユーモア. In senruy this humour is more open and obvious ユーモアたっぷり. It is very important that you feel free to write a haiku your way. But there are certain basic conditions which you as a haiku poet are supposed to observe. In Japan and the world perhaps, there may not be such a short yet profound form of poetry as a haiku. The short poem, namely haiku, consists of 5-7-5 syllables. Picture an iceberg floating on a cold sea. It shows only a small part above the sea while the majority is hidden beneath the water. Like an iceberg haiku shows a very small part in the 5-7-5 syllables while it leaves the poet's sentiment and unspoken messages hidden under the water. If you try to cram too much in a haiku that affords only a snail number of words, your messages will be spread too thin to be meaningful. So it is better, like an iceberg, to reveal a part only and omit or leave hidden as much as possible under the water for the reader's imagination. Haiku is a poem born from a "season word." Haiku appreciates nature and our daily life by means of season words. From the time you wake up till you say "good night" and retire in bed, your daily life at home and at school is filled with pleasant and unpleasant events, things you want to do, affairs with your friends or family members. Your life further includes a comfortable night, or sleepless hours as it is too cold or too hot. Have you ever stopped to think that all these routine affairs keep you closely related to all the vicissitudes on earth that follow the change of seasons? Have you ever been aware of what nature has in store for your unbiased eyes and heart? Season words symbolize the nature-man relations. this is the second condition of haiku. Each person is unique in his or her way of viewing or feeling things.A haiku that reflects your unique viewpoint or feelings belongs to your personality. Anything can be a good subject for haiku. This is what I learned through years of haiku practice. I want you, my readers to be always alert for little things around you and appreciate them. I may dare say that haiku poems are not haiku in the true sense of the world which you cannot make unless you visit some scenic spots. Haiku practice helps discover and grow your sensitiveness which, in turn, enriches your heart and enlightens your observation. We all live a busy life in a busy world, but haste is not all there is to it. From time to tine we need to stop and look about us. That gives us a moment of quietude of mind, when a haiku is born. My advice to you. dear readers, is that the first step of haiku practice is for you to describe the scene you see as it is. To describe or sketch a scene means first to capture a scene with your own eyes, second reflect it on your mind, and third describe what you feel by means of the reflected scene. Like so many different faces and bodies, Personality determines what is reflected on your heart and how it is reflected. Personality, when expressed in haiku, presents itself in unique feeling and viewpoint, rendering haiku all the more interesting. "Ya", "kana", "keri", or "nari" and other kire-ji effectively add to the author's feeling in a short haiku or speak for omitted words. Kire-ji, in this respect, provides a structural support for haiku. Examples are such works of haiku as are noted for refined sharpness. Haiku that values omission alway seeks perfection by use of Kire-ji or its concept, I think. Please note an established rule that kire-ji is used just once in a haiku. Two kire-ji might blur the message of a short poem of 17 syllables. A haiku that fails to make itself clearly understood is one that lacks consideration for the reader, thus failing to convey the writer's poetic sentiment to the recipient. Always try to make haiku which anyone can understand.
. Freedom and the Haiku Rules . do you think of Japanese haiku first or of English (or your language) haiku first? The word HAIKU used outside of Japan has taken on so many shades for different poets, it is necessary to define the genre further by using various adjective.
. WKD : More about Haiku .
. Muki haiku and Kaneko Tohta . You find more if you google! More TBA as they come up. Haiku is on the brink of destruction as an art form, drifting farther and farther away from Basho/Buson/Issa/ (even Shiki) poetics, it's almost not recognizable any more. The "last frog" (Basho's ways) is on the edge of being destroyed for ever. Folks do not understand that, as Kala mentions, the "river banks are the form and the water is the poetry" (rough quote). There is so much freedom within form, there is no reason to destroy the form, the aesthetics to create something so new it is beyond recognition. ends up in the ocean of "short form poetry". Why not just give the baby a new name and be done with the endless and often so heated discussions about the "haiku form" and "haiku format" ? Long live Haiku, Senryu, Zappai . . . and Short Form Poetry.
. Senryu Zappai 川柳, 雑俳 . Traditional Japanese haiku include a "season word" (kigo), a word or phrase that helps identify the season of the experience recorded in the poem, and a "cutting word" (kireji), a sort of spoken punctuation that marks a pause or gives emphasis to one part of the poem. In English, season words are sometimes omitted, but the original focus on experience captured in clear images continues. The most common technique is juxtaposing two images or ideas (Japanese rensô). Punctuation, space, a line-break, or a grammatical break may substitute for a cutting word. Most haiku have no titles, and metaphors and similes are commonly avoided. (Haiku do sometimes have brief prefatory notes, usually specifying the setting or similar facts; metaphors and similes in the simple sense of these terms do sometimes occur, but not frequently. A discussion of what might be called "deep metaphor" or symbolism in haiku is beyond the range of a definition. Haiku is the poetry of the real. That is, it is the poetry which seeks to convey as clearly as possible the actual events of an experience so that the reader may come to find the same experience in himself, and therefore share the insight which the experience prompted. Anything which diverts the reader from that moment works against the purpose of the poem. So it follows that the language in haiku should be chosen with an eye toward making the expression of the experience, the haiku moment, as clear as it possibly can be. if the poet says it is. Now it is up to the reader to see this as a haiku, a senryu, a zappai, a short poem, a sentence, or anything else . . .
Haiku is not haiku. Our ‘haiku' are not haiku. Haiku - here identified by italics - is a very short form of Japanese verse. It would not be quite true to say that it can be written only by a Japanese, but it can be written only in Japanese, and it would require the same level of fluency in Japanese culture, history and literary tradition as in language. If you want to get to know haiku, you need to get to know Japan; the country, the people, the language. That's a huge project, a lifetime's project, but there's no point in minimising the scale of it and pretending that you can somehow get to know haiku without it. most closely resembling gendai senryu, not haiku. One thing I learned is that any definition of haiku can and will be debated. This convinced me that a set definition is impossible. Yet among the multitude of contemporary haiku we find poems that really touch us. Certainly the poets who wrote them must have a notion of what really makes a haiku a haiku. Haiku (俳句) is a mode of Japanese poetry, the late 19th century revision by Masaoka Shiki of the older hokku (発句, hokku). A haiku contains a special season word (the kigo) representative of the season in which the renga is set, or a reference to the natural world. Haiku usually combines three different lines, with a distinct grammatical break, called kireji, usually placed at the end of either the first five or second seven morae. In Japanese, there are actual kireji words. In English, kireji is often replaced with commas, hyphens, elipses, or implied breaks in the haiku. These elements of the older haiku are considered by many to be essential to haiku as well, although they are not always included by modern writers of Japanese "free-form haiku" and of non-Japanese haiku. Japanese haiku are typically written as a single line, while English language haiku are traditionally separated into three lines. In Japanese, nouns do not have different singular and plural forms, so 'haiku' and 'kigo" are usually used as both a singular and plural noun in English as well. Senryu is a similar poetry form that emphasizes humor and human foibles instead of seasons, and which may not have kigo or kireji. What is the proper form for haiku in English? Well, a simple definition might be a poem that captures a ‘moment in time’, usually involving nature, and as perceived or experienced by the poet. It is recorded in less than seventeen syllables, usually in three lines, and usually with the center line longer than the others, sometimes with a seasonal reference, or ‘kigo’. Although many times a 5-7-5 pattern is prescribed as a ‘firm’ rule in rudimentary definitions of haiku this is not supported by research, translation, or history, even in Japanese haiku. One component that does appear critical is a ‘break’, 'cutting word' , or 'turn', which usually occurs between the second and third lines, but can occur also in the second line, but a ‘break’ or shift of perspective that juxtaposes the other images in the poem is considered by many as an important aspect of haiku. There are many ‘schools’ of haiku, both in Japanese and the English, and there always have been. In fact Basho, considered by most scholars to be the Father of the modern haiku, told his students to: “Learn the rules, so that you can break the rules”. Today three lines, two lines, single line, and ‘Zip’ poems all offer the sincere student of this poetic form realistic options to pursue in finding their personal approach to haiku. Haiku has long been associated with Zen Buddhism, but it has always stood apart from any religious or philosophical bent, and so maintains its universality. Perhaps the association with Zen can best be explained by the fact that both place high value on the ‘present moment’, and human interactions with nature. In any case a knowledge of, or practice of Zen is unnecessary to understanding or creating fine haiku. There are many definitions of haiku. I find some of these definitions to be too simple, too complicated, too limiting, too vague. Basically, haiku is a form of short image poetry, about nature, historically from Japan, which has been accepted and become profuse in the Western World. It is most often written in a three-line form, in the present tense. Historically, in Japan, haiku was based on a strict 17-syllable structure of those three lines: five syllables for the first line, seven for the second, and a repeat of five syllables for the last line. This structure had to do with the vowel sounds in the Japanese language. But modern haiku, in any language, does not need to follow that regimentation. • a poem that is Japanese in tradition. The art of haiku has moved from Japan into the mainstream literary world and is studied and written around the globe. • a poem that must be authentic: meaning that it must be obvious to the reader that the poet actually and truly experienced what is shown in the haiku. • a poem honouring nature, which may include human nature. • a poem that has a sense of loneliness or Sabi (the Japanese word for solitude or loneliness). Becky gives a lot more • points. I have only selected a few at random. Please read her full article. In my early years of haiku writing, I easily accepted the prevalent credo being espoused on how to write haiku. This was, sometimes implied and occasionally expressed, as being: if the author's mind/heart was correctly aligned in the "proper" attitude, while experiencing a so-called "haiku moment", one merely had to report on the experience to have a darn-good haiku. Haiku ISN'T easy to write, but when you get "hooked" you'll be glad you tried it. The study & discipline sharpen the perception & improve all other fields of writing, as well as adding zest to living. Buddhists describe a simple practice: when you find yourself falling into some habitual pattern, acknowledge it, and then step out by doing something different. The idea, of course, is that anything we do by habit we do half-awake at best, and the goal is to wake up. ..... Many writers have decried a sense of "sameness" in much of what appears in the journals today. ..... So what's the problem? What would Basho and Buson say if they were alive today and could read English and could read haiku done by North American poets? I think that they would be delighted to find that haiku had managed to cross the Pacific and thrive so far from its place of origin. They would be impressed with the wide variety of haiku composed by North American haiku poets and find their work most innovative. At the same time, however, they would also be struck, as I have been, by the narrow definitions of haiku found in haiku handbooks, magazines, and anthologies. as airy and graceful as a Vivaldi Pastorella. `I don’t know what you mean by “haiku,”‘ Alice said. `Of course you don’t — till I tell you . . .
. . . if we were being sticklers, haiku would have to remain in quotation marks. Enviroku is a relatively new medium for used by many environmental activists all over the world. 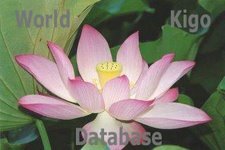 This method seeks to implant messages in not only the minds but also the hearts of the its target audiences by combining the ancient Japanese art of haiku with important messages about today's issues. Waka is kitsch. Haiku is kitsch. Waka and haiku are greatest art. All the statements are corrects although they are contradictory. At I-ku Haiku you can create a haiku, then send it as an eCard and/or submit for on-site publication. A term not familiar in Japan. Haiku Noir is a new variety of the ancient poetic form, haiku. Haiku noirs exist at the farthest end of the spectrum of subject matter, dealing with that which is not generally considered to be proper subject matter for the classical haiku; for example: tragedy, loss, sorrow, depression, madness, terror, horror, anger, macabre humor, anti-heroism, crime, passion, the underworld/subcultures, squalor, eros, science fiction and fantasy. We are developing a new kind of haiku, not in the classical form, so the rules are substantially simpler. Haiku - Was ist das? Eine sehr alte japanische Tradition sind Kettengedichte. Ein Dichter schreibt einen siebzehnsilbigen ersten Teil, das so genannte Hokku und der oder die PartnerIn ergänzen vierzehn Silben. Es galt als besondere Ehre, das Hokku vorgeben zu dürfen. Damit die Dichter, sollte ihnen diese Ehre zuteil werden, nicht mit leeren Händen da standen, wurden schon früh Sammlungen besonders gelungener Hokku veröffentlicht. Aus ihnen entwickelte sich das Haiku. Warum zählt man in japanischen Gedichten die Silben? Das japanische kennt keine Silbenbetonung, so dass nicht, wie z.B. in europäischen Sprachen, Hebungen oder Betonungen das Versmaß bestimmen. Deutsche Silben sind in der Regel sehr viel länger als japanische und transportieren meistens mehr Inhalt. Deshalb sollten siebzehn Silben als Obergrenze für deutsche Haiku gelten. Ein unverzichtbarer Bestandteil japanischer Dichtung ist der Bezug auf eine Jahreszeit. Seit Beginn des letzten Jahrhunderts spielen aber auch Themen wie Verstädterung und Industrialisierung eine Rolle. Neue Haiku-Schulen hinterfragen die traditionelle Form. Wie keine andere Versform hat sich das Haiku rasant in der Welt ausgebreitet und wird in allen bedeutenden Sprachen geschrieben. Überall probieren Menschen aus, was Haiku für sie bedeuten kann. ... still too many American haiku being written about Japanese subjects ? ... "pseudo-haiku," how you would define it ? ... haiku and senryu on issues of social concern ? ... what is "haiku sensibility" ? This naming should not be mixed with the judgement of the "quality" of a haiku. A haiku is an experience, where the poet is leading his normal life, practising awareness and suddenly becomes aware of something special ... a haiku is born. The haiku comes to the poet. Now I am going to write a haiku about xyz kigo or xyz keyword. Some forums give daily prompts or use the last word of the haiku before them in line to stimulate writing. The poet looks for a haiku. Another version of a "desk ku" is the toriawase, joining two ideas. Once the poet has his inspriation from an experience, usually in two lines of a haiku, he now looks for an appropriate kigo in his vocabulary. Poetry needs finetuning and crafting like any other craft, and toriawase is one step in this direction. Toriawase technique of writing haiku is already taught in Japanese grammar schools. "a combination, an arrangement, an assortment"
Slowly, over the years, I found by reading the translations of the old Japanese masters and the haiku of my contemporaries whom I admired, that there were more factors than just these three on which one could build a haiku. However, there seemed a disinterest in others wanting to study these aspects which I call techniques. Perhaps this is because in the haiku scene there continues to be such a reverence for the haiku moment and such a dislike for what are called "desk haiku". The definition of a desk haiku is one written from an idea or from simply playing around with words. If you don't experience an event with all your senses it is not valid haiku material. A ku from your mind was half-dead and unreal. An experienced writer could only smile at such naivet・ but the label of "desk haiku" was the death-knell for a ku declared as such. This fear kept people new to the scene afraid to work with techniques or even the idea that techniques were needed when it came time to write down the elusive haiku moment. GOOGLE for more: "definition of haiku"
GOOGLE for more: "My "definition" of haiku"
Haiku are like amaryllis: They thrive in close quarters. And with its 140-character limit, Twitter is blooming with haiku — or twaiku, as some call them. (start our local saijiki with regional kigo!). And there is nothing wrong with running around naked at the right place in the righ time ... ! Haiku is traditionally a genre with a strong seasonal reference. How do you qualify haiku without kigo? Do you agree with Kacian and others that kigo and / or keywords work in haiku? When I'm writing haiku in a traditional mode, I include a seasonal reference. When I'm not writing in a traditional mode, I don't include a season word. (2) non-traditional haiku has no season word? My definition of haiku embraces both its traditional and non-traditional forms, so long as the haiku is a quest of discovery into the truth of the universe where the conscious mind collaborates with an "Other Power" of imagination and deep feeling. I want to suggest that there are two haiku worlds in the U.S. The first is a kind of 'official' haiku world. It is the world of the HSA and Northern California Haiku Poets, and other local Haiku organizations. They tend to be small but dedicated. With the significant exception of Yuki Teiki, they all tend to advocate for free verse haiku. It is in this sense that I meant that American Haiku has become a type of free verse; that is to say that official, or organizational, American Haiku has become a type of free verse. Outside of the context of official haiku organizations there is another type of haiku. It is not organized; that is to say it doesn't have any official organization advocating for its point of view. Is Western Haiku a Second Rate Art? “If we judge haiku with this statement it leads to following. Only thing we end taking from Japanese haiku is its name. We neglect its long traditions. We are not even trying to understand differences between Western and Japanese culture. In 1930′s an article was published about Japanese poetry by G.J. Ramstedt. In it there was a short passage about Yone Noguchi analysing a “Western poem”. According to Noguchi after taking out all the unnecessary tautology and unmeaningful words from four stanzas there was not enough left for a tanka. See the difference between two approaches. If we take something from others we could at least try to understand their culture, even a little. "monthly haiku", a term for haiku written at the monthly or bimonthly haiku meetings at the end of the Edo period. They often wrote trite and hackneyed, clichee and mediocre haiku. Often written by poets to make a living by haiku writing and catering to the (often low) taste of their patrons. Shiki often used the word tsukinami . Mediocre haiku poets blindly following traditional conventions in a superficial way. Low-quality haiku. Clichee-poems. Some modern haiku poets think writing haiku to get a special intellectual effect or impress the editors of magazines is a form of tsukinami. Stepping out of his home, he could see the Shikoku mountains behind Dogo Hot Spring in Matsuyama Town. When the last sunshine hit these mountains, he felt some sort of comfort and security in his life. This is all he wanted to express in this haiku. He did not want interpret this haiku as a talk about the change of seasons, the change of the human heart or anything personalized in this haiku, as his son tried to interpret it. "No need to interpret it in the lines of "jinsei kan", an outlook of human life, or a generalization about the human condition. If you do that, it will only be "tsukinami", a mediocre haiku. I only wrote about what was in front of my eyes!" Let's expand the "boundaries" of haiku-production to include areas outside of Japan. Japanese and English Haiku are different, and we have to accept this as a fact. Japanese are like a game that have "Haiku Rules" that can not be changed, unless you re-name the game and play it differently. They have a recipe for "Haiku bread" and if you change the rules, you get a different kind of cookie ... and so on with the examples. Words are not just wind. Words have something to say. then do they really say something? Or do they say nothing? People suppose that words are different from the peeps of baby birds, but is there any difference, or isn't there? What does the Way rely upon, that we have true and false? What do words rely upon, that we have right and wrong? How can the Way go away and not exist? When the Way relies on little accomplishments and words rely on vain show, then we have the rights and wrongs of the Confucians and the Mo-ists. what one calls wrong the other calls right. But if we want to right their wrongs and wrong their rights, then the best thing to use is clarity. what is unacceptable we call unacceptable. A road is made by people walking on it; things are so because they are called so. Making them so makes them so. What makes them not so? Making them not so makes them not so. Things all must have that which is so; things all must have that which is acceptable. There is nothing that is not so, nothing that is not acceptable. BadHaiku - "Horrible poetry for the digital age"
Bar Haiku - "We were out drinking one night at a local pub when we started to write haiku…"
Everypoet Genuine Haiku Generator - Example: "mermaids somersault, blameless orchestra moving, leaning, bragging spear"
Haiku O'Matic - Example: I beat up a man... the b*($t"rd stole my wallet….oh, wait! Here it is! hahaha, that is about IT ! ...My honest opinion is that HAIKU (in English) and Haiku (in Japanese) are separate and distinct. This may frustrate the aims and activities of the Haiku International Association, but I cannot lie to myself. This does not mean that I think that HAIKU written in other languages should be rejected or ignored. As a form of short poem, I welcome the rising popularity of HAIKU in other countries. The writers of HAIKU and Haiku, as writers of short poems, can of course, talk to and associate with each other. However, they are not members of the same immediate family. They are more like distant relatives and I feel that maybe the most sensible course to take is to stay neither to close nor too remote from each other. "Sensible" is used here in the sense of "not strained". I also agree that AT THE MOMENT, generally speaking, HAIKU and haiku are separate and distinct BUT I do not believe, as some Japanese Haijin do, that Westerners can not understand or grasp the core of Haiku. Several Western poets make haiku very close to the spirit of the Japanese haiku way. I think it is a problem of having different concepts on what a haiku is. into 3 lines of 5, 7, and 5 syllables, often about nature or a season. and makes no reference to the thought processes. A haiku is often not ABOUT nature, it only INCLUDES a reference to nature as a way of indirectly stating what the poet is trying to get across. CONTENT is important, next comes the season and last comes the form. And at that,rhythm comes before syllable count and number of lines. Although I may have sounded like a stickler for form in a recent post, the above is the order of importance I hold for the elements of haiku. Haiku are still haiku without the form but that doesn't mean that a set form shouldn't be aimed for. I think that, in the end, considering all the rules and traditions so far, one will still end up writing haiku in the manner which suits him the most, reflecting the poet's innermost nature, desires, inclinations, and, of course, style. Some of the haiku will "look like" haiku as the traditionalists have defined it, and others will appear to have branched off in new and exciting directions. It is good to know the basics, but it is better, I think, to determine first for yourself what it is exactly that YOU want, and if the rules, as you have understood them, also apply to you. Only then can your own poetry be called genuine. That said, I also don't think that any one poet can call himself an expert on the subject. How does one know what is going on in someone else's heart? Though there were earlier false starts, for example among the Imagist poets, for all practical purposes “haiku” in English really began in the middle of the 20th century. It developed as the result of two chief resources – the writings of Reginald Horace (R. H.) Blyth, and secondarily, the lesser writings of Harold G. Henderson. When Blyth began writing on the subject in the mid 20th century, he did so with the assumption that “hokku” was virtually dead, and though a simulacrum was still being widely written in Japan under Shiki’s term “haiku” (which Blyth thus unfortunately adopted in his books as a makeshift way to refer to both hokku and haiku, the former term having nearly faded from Japanese everyday use), for all practical purposes, Blyth was writing a memorial to hokku as a dead and gone “Camelot” of Japanese literature. He carried the tale of its demise through the revisionism of Shiki and those who followed him in the early 20th century. Many people are puzzled to learn that humor is one of the qualities of hokku. They are quite correct in noting that there is nothing humorous about a great many hokku, and even those that are pointed out as having humor are generally nowhere near as humorous as hokku’s “evil twin,” senryû. The subtlety of humor in hokku explains the confusion–why so many are puzzled when hearing of its humor. The word “humor” makes them think of belly laughs, of milk-from-the-nose-inducing funnyness, but the humor of hokku is not at all like that. Recognizing it can even be a matter of mood and personal experience. Not obvious emotion, not obvious thinking, but rather things presented as sensory experiences in the context of the seasons — Nature and the place of humans as a part of Nature. No emotion is needed, no “thinking,” no attempt to be poetic or clever. It is this simple fact that evades many who attempt hokku, and they go off in the wrong direction. Hokku at its best is sensory experience — seeing, touching, hearing, tasting, and smelling. The best hokku present only this, because nothing more is required. I repeat again and again to students that hokku is not poetry as we normally think of it. In hokku the poetry is not in the words but in the experience. That is the poverty and simplicity and selflessness of hokku. As most readers know, haiku nearly destroyed hokku — haiku with its lack of universal standards and principles, haiku with its ease of writing that made instruction nearly obsolete and ego gratification almost instant, haiku with its application to any subject imaginable, haiku with its abandonment of normal English grammatical usage and punctuation and capitalization. It was all made so EASY — and that is the great failing of our time. Everything must be quick, must be easy, must offer instant gratification. And so much that has proved its value over time is therefore cast aside and forgotten. Hokku is very different. In hokku we do not change the verse to fit the lives of moderns. We change the lives to meet the standards of hokku, and that means increasing depth, not the increasing shallowness of haiku. "Why are we interested in haiku writing, not as a classical short poetry peculiar to Japan, but as a contemporary short poem which may be creative in any language, in any country? Why is haiku writing still creative in our own days? One of the most typical misunderstandings [I have encountered] is that a person inspired by a trivial moment can write a good haiku. Everybody knows that haiku is a short poem, but the fact that a verbal universe made by an excellent haiku is boundless is not so well known. ... Basho's haiku as a basis for our haiku is written from a moving and free viewpoint, and it can build up a dynamic and vast universe including contrasting elements. These charachters are extremely suitable to contemporary art and literature and explains why haiku is always avant-garde, why it always has a feeling of freshness to it. Free form poems may be connected with modern democracy in the West, therefore fixed form is anachronistic in the West. ... What is the difference between free form haiku and free short poem in 3 lines? ... Nobody can give a perfect reply to this problem. Haiku is shorter in line, more suggestive, tight, and intense in expression, and it contains more concrete images. In haiku, each word is filled with more potential power. ... haiku is always the essence of poetry. we [would] rather promote haiku writing in any language, in any country, than make up a world-wide definition of haiku to narrow its possibilities." ... again and again in the KIGO HOTLINE ! ----- The history of mankind, as a history of the human spirit, may be thought of as consisting of two elements: an escape from this world to another; and a return to it. Chronologically speaking, these two movements, the rise and fall, represent the whole of human history; and the two take place microcosmically many times in peoples and nations. But they may be thought of as taking place simultaneously or rather, beyond time, and then they form an ontological description of human nature. -----There seems to me no necessity, however, to make a Spenglerian attempt to show from historical examples how there has been a movement towards ideas, ideas, abstractions; and a corresponding revulsion from them. In our own individual lives, and in the larger movements of the human spirit these two contradictory tendencies are more or less visible always, everywhere. There is a quite noticeable flow towards religion in the early world, and in the early life of almost every person,-and a later ebb from it, using the word "religion" here in the sense of a means of escape from this life. -----The Japanese, by an accident of geography, and because of something in their national character, took part in the developments of this "return to nature," which in the Far East began (to give them a local habitation and a name) with Enô, the 6th Chinese Patriarch of Zen, 637-713 A. D. The Chinese, again because of their geography perhaps, have always had a strong tendency in poetry and philosophy towards the vast and vague, the general and sententious. It was left, therefore, to the Japanese to undertake this "return to things" in haiku, but it must be clearly understood that what we return to is never the same as what we once left, for we have ourselves changed in the meantime. So we go back to the old savage animism, and superstition, and common life of man and spirits and trees and stones,-and yet there is a difference. Things have taken on something of the tenuous nature of the abstractions they turned into. Again, spring and autumn, for example, non-existant, arbitrary distinctions, have attained a body and palpability they never before had. We also, we are the things,-and yet we are ourselves, in a perpetual limbo of heaven and hell. -----It was necessary for us to prostrate ourselves before the Buddha, to spend nine long years wall-gazing, to be born in the Western Paradise. But now, no more. Now we have to come back from Nirvana to this world, the only one. We have to live, not with Christ in glory, but with Jesus and his mother and father and brothers and sisters. We return to the friends of our childhood, the rain on the window-pane; the long silent roads of night, the waves of the shore that never cease to fall; the moon, so near and yet so far; all the sensations of texture, timbre, weight and shape, those precious treasures and inexhaustible riches of every-day life. ----------How angrily thou spurn'st all simpler fare! Haiku have a simplicity that is deceptive both with regard to their depth of content and to their origins, and it is the aim of this and succeeding volumes to show that haiku require our purest and most profound spiritual appreciation, for they represent a whole world, the Eastern World, of religious and poetic experience. Haiku is the final flower of all Eastern culture; it is also a way of living. 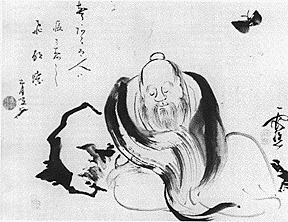 I have also spoken often of how English-language “haiku,” once it came into existence, began very quickly to fragment into endlessly bickering and warring camps writing many different kinds of verse yet confusingly calling all of it “haiku, no matter how remote it was from the kind of haiku begun and advocated by Masaoka Shiki. I often say that modern haiku — particularly post-traditional haiku — is based upon a fundamental misunderstanding and misperception of the nature and aesthetics of the old hokku — a seeing of it not for what it was, but rather a projection onto it — to use your term and Jung’s — of what was already familiar from Western poetry and culture. Sometimes it’s a haiku, sometimes it’s just a short, micro poem. It almost always fits into a Twitter update or SMS message. It’s an unfortunately situation where the term is watered down to the point where publishers ask “no haiku please.” Partly, why haiku can be misunderstood as sentimental 5-7-5 verse about anything under the sun is from popular figures writing without a knowledge base of the history. Partly, within the community there is a laxness of terms, where we call a senryu without season’s kigo, a haiku. We add to the confusion. Modern English language haiku, whose antecedents can be traced to the Japanese verse forms of hokku and its late 19th century revisionist form of haiku, is a brief verse, generally written in one, two, or three lines, that presents the earth-the sensuous reality of the non-human- and sets it into the world-the historical human context. In its function of naming, it allows the non-human ,with its quality of strangeness, to be perceived in a way it cannot do of its own accord; the haiku process of naming brings beings to words and thereby to openness, to appearance and thus into the human world. In this dual purpose of haiku, seasonal references (the original Japanese “kigo”) are sometimes retained, as is juxtaposition of two phrases comprising the form ( a facsimile of the original Japanese “kireji), a means of opening or knowing the unknown and imposing an order on and meaning to it. In modern English-language haiku, bringing beings to words and appearance makes them shine with resplendence and sometimes this process may be likened to “epiphany,” although an epiphany of the mind, and not of a deity. Nothing can permanently please, which doesn't contain in itself the reason why it is so, and not otherwise.
. . . the movement as a whole evolves much more slowly, and from certain angles it now looks as if it has reached something of a plateau. This plateau is a position of conformity, complacency and mere competence. And the pressures towards conformity are acute enough to make it difficult to remain true to your own original inspirations, poetic preferences and little awkwardnesses that resist hammering into shape. To approach the poetic spell via imagery often appears to involve nothing more than mere description. To approach the spell via language, we need more emphasis on form as opposed to content, and on expression as opposed to information. PARIS -- Haiku poet Madoka Mayuzumi , who has been living in Paris since April this year as a Japanese government-designated "cultural envoy," frowns on "French haiku" despite a haiku boom here. "French people's haiku poems often fail to follow the basics," says Mayuzumi, whose mission in France is to "foster better understanding of Japanese culture through haiku." "In haiku, there are the 'yuki-teikei' rules for expression, in which you have to include 'kigo' (seasonal words) and use a fixed 5-7-5 syllable pattern. But French people's poems often don't have kigo or the syllable pattern," the 48-year-old points out. Needless to say, it is not easy to write a haiku poem in a 5-7-5 format in French, and kigo that originates from Japan struggles to fit into French natural features. By making a "haiku" without following these rules, it becomes nothing but a "short poem." "The French hate to be tied to rules, but in haiku, there are rules that encourage you to be free and creative," Mayuzumi explains. She devotes considerable time to explain Japan's unique culture of "rules" at gatherings of French people. As part of her mission, Mayuzumi wants to define unified haiku rules that suit French culture. Living in Paris has made her able to see Japan more clearly. This summer, the poet went on a journey retracing the footsteps of French poet Paul-Louis Couchoud, who introduced haiku to his country a century ago. yea, but what kind of food? yea, but what kind of haiku? they become difficult to communicate what we are really talking about. I like good food ! just wanted to thank you for this. awesome collection. i'm doing a small workshop on haiku this weekend, and this overview has definitely broadened my horizon to all the lovely forms of perfection and imperfection that we can find and cfeate in haiku.